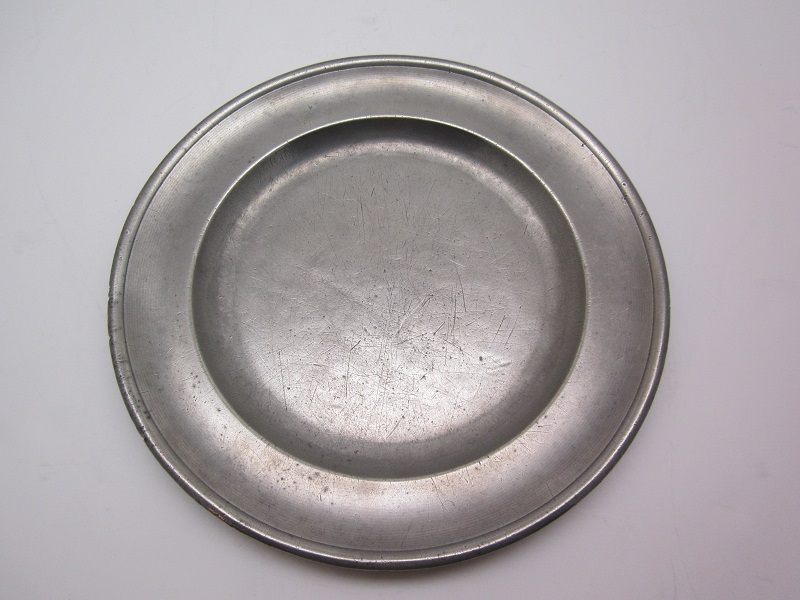 This 7 7/8" plate is double struck with Griswold's over size Eagle touchmark (L418), which he used from 1807-1815. The maker was rarely able to make a good impression with his touchmark because the design was just too large, and would damage the plate if struck harder with a hammer. Ashbil Griswold operated a progressive shop, making fine cast pewter in Meriden, Connecticut from 1807-1835. The plate is in good condition.